The 2019 Hyundai Elantra is an odd yet intriguing beast. Not only is its starting price of $17,100 low, even for a compact sedan model, yet it can be upgraded with numerous luxury and performance features. 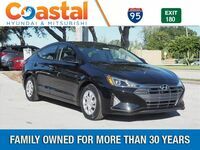 For example, on higher trim levels, the 2019 Hyundai Elantra can upgrade to a 201-horsepower turbocharged engine and add leather seating, two features which are almost never offered with compact sedan models outside of luxury brands. 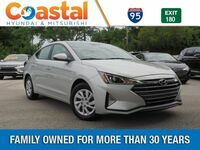 Therefore, we wanted to take a little more in-depth look at the 2019 Hyundai Elantra to truly explore its wonders and mysteries. As an introduction, you can find our initial findings below with more to follow through a future comparison page. 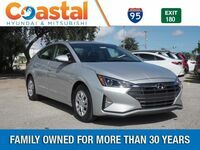 Find Your Hyundai Elantra Match! 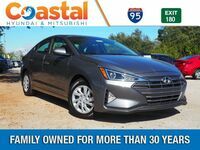 Where Can I Get the 2019 Hyundai Elantra? 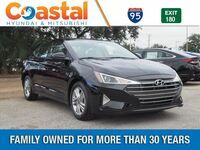 Those looking to shop or learn can find additional information on the Hyundai models, including the 2019 Hyundai Elantra, here at the Coastal Hyundai dealership. 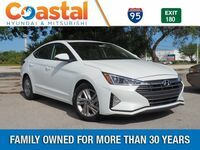 Contact with the Coast Hyundai staff can be established online, over the phone, or in person at the dealership located in Melbourne, Florida. Please reach out to us if you have further questions or are in need of assistance. 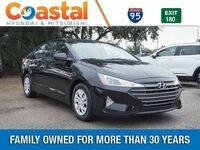 We’re happy to fulfill all of your automotive needs here at Coastal Hyundai!